Born in Ohio, but raised in many places, Joe attended the University of Tennessee, from which he graduated with a Bachelor of Arts in 1999. In 2002, Joe graduated from Washington & Lee University School of Law located in Lexington, Virginia. 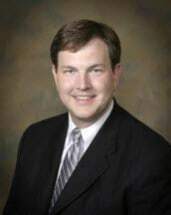 After graduation he joined the law practice of Mark Yeager and became a partner in the firm Yeager & Thelin in 2005. In 2013, he and Barry Zweig decided to form the law partnership of Zweig & Thelin, PLLC. In 2017 Joe formed his own practice of Joseph W. Thelin, PLLC. Joe focuses his practice on criminal defense law, representing clients charged with any and all crimes potentially charged under the Virginia Code. He has tried cases both to a judge and jury on many occasions. He regularly appears In the courts of Fairfax and Prince William Counties where he is well known both inside and outside the courtrooms.